Happy, healthy dogs can give you many years of friendship and unconditional love. We take pride in producing exceptional puppies you'd be more than happy to take home and welcome into your family. At Tri-State Kennel Club, we really love what we do and are very passionate about dogs. We believe that each person, or each family deserves to have a wonderful dog as a pet to offer them loyalty, companionship, friendship, as well as unconditional love. We have a wide range of dogs to choose from which includes: Labradors, Boston Terriers, Boxers, and Soft Coated Wheaton Terriers. 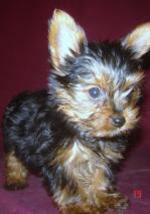 Click a photo to learn more about the breed, view the parents and check for available puppies.